I wouldn’t have stumbled about this topic if not for this blog post here. And no, it is not about the interview and photo shoot of Julia Gilliard, nor about the political situation in Australia that I just have too few information about to say anything about. It is the fact that a female prime minister knitting (if for PR reasons or not) sparked such a commotion . Actually I laughed really hard reading this here even though these criticisms being real is quite sad too. I get the feeling that many people think that knitting is a weird hobby to pursue. Whenever I say that I knit and quite a lot, I get weird looks. In Germany it is because people think only Grandmas or lets say people over 60 knit or weird back to nature people. Everywhere else I guess they think more about stay at home mums. 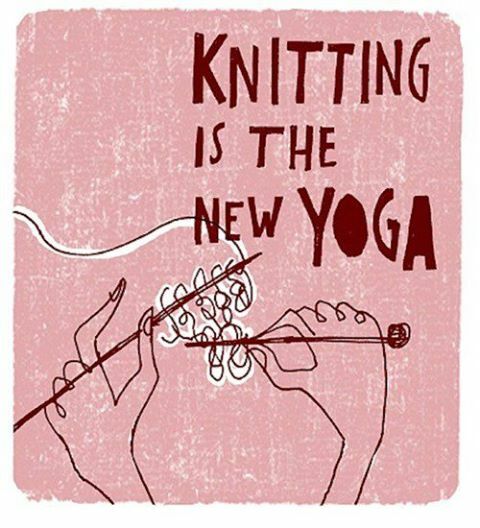 It is true, there are probably more grandmas and stay at home mums knitting. I’m reading their blogs every week at Ginny’s Yarn Along. Many knitters are from the US, they are home schooling Christian wifes and mothers. Yet I’m not. And there are others like me! Sure not that many at least not that many that seem to blog about it but we are not old fashioned only because we knit. It is perfectly combinable to knit and to work full time and not longing to be a housewife. It is not degrading for an open-minded woman to knit. Knitting is fun and creative. I get to make real things with my hands (at work I mostly think, type and talk a lot on the phone. You hardly ever can see something I made, excel sheets don’t count. You can only see things I managed which is why I love having real objects I made myself by hand). Things are exactly how I want them to be (or else they get frogged). I get to figure things out and learn new skills all the time. It relaxes my mind while keeping my fingers busy. I get to touch fluffy yarn and use all colours I love. Knitting is like finger sports. Knitting is like sculpting with yarn. It is an absolutely recommendable hobby for an creative, independent, open-minded person, be it the prime minister of a country or an account manager in an advertising agency, woman or men, young or old. Actually, everybody should knit! Ok, well everybody who feels like it should at least try. Don’t feel bad if you want to learn it and haven’t learned it from your family or at school. Just ask someone who can to teach you. Don’t feel bad if you love it. It is nothing wrong with it. It is just as any other hobby and you get something to wear out of it. This entry was posted in Knitting & Crocheting and tagged Knitting, Opinion by kathatravelling. Bookmark the permalink. Funny. I lived in England in the 80s, and it seemed like everyone knit there. That’s when I took it up. Now, I’m getting real close to the “Grandma” status, but I think it’s great that younger people are still taking up the cause! I love this post and I feel like you and I are in the same situation. I love to knit but I am not a grandmother nor am I a homeschooling Christian wife. I am a fiber enthusiast and lover of different forms of art. It is interesting that the stigma of a knitter in society is so negative and strong. You should read “The Culture of Knitting.” I have been reading it and it has really opened my eyes to a lot of things that I would have never thought about. Thank you! As I said: we are out here and we won’t leave! I will definitively have a look into the book you mentioned. It sound like a very interesting read!